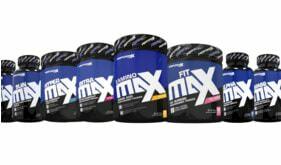 Performax Labs HyperMax is widely regarded as one of the best pre workouts on the market, due to its comprehensive matrix of stimulants (including the euphoria-inducing Eria Jarensis), cognitive enhancers, and blood flow maximizers. Yet, Performax sought to one up itself and release a more intense and extreme version of their headlining pre workout in HyperMax Extreme. You might be wondering what some of the differences between the award-winning HyperMax and its extreme brother. HyperMax Extreme contains an 75 milligrams of pure caffeine anhydrous per scoop, bringing the total caffeine content of HyperMax Extreme to an even 400mg per serving. Compare this to the 325mg caffeine per serving in HyperMax and you see right off the bat that HyperMax Extreme isn’t pulling any punches. Performax Labs is synonymous with eria jarensis -- the euphoria-inducing stimulant packed with all sorts of feel-good PEA molecules. HyperMax Extreme contains 20% more eria jarensis per full serving than HyperMax, delivering a total of 250mg of mood-enhancing energy! To complement the increased eria jarensis, we’ve also upped the hordenine dosage to 60mg per full serving to provide long-lasting energy, euphoria, and focus. The final major upgrade to HyperMax Extreme comes in betaine anhydrous, a proven commodity in sports science that’s been documented to be effective for building muscle AND strength. HyperMax Extreme supplies the full clinical dose of 2.5g betaine anhydrous in each serving.